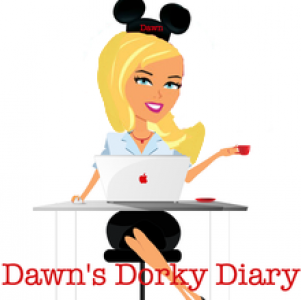 Child Safety at Disney – Travel, Family & Fun rolled into one! Disney, Disney TIP of the day! FIRST look around where your standing, if u still don’t see him or her, notify the nearest Disney Cast Member – while still keeping an eye on the last spot y’all were at: When a Disney Cast Member finds a child that is lost, the Cast Member contacts Lost Children and registers any information that they have, including name, age, location and a parent/guardian name. They’ll usually direct you to the parks official meeting point(s). At the Magic Kingdom, check the Baby Center and City Hall, where logs of lost children are kept. At Epcot, check Baby Services near the Odyssey Center. At Disney-MGM Studios, check Guest Relations at the entrance, near Hollywood Boulevard. At the Animal Kingdom, try the Baby Center on Discovery Island. 90% of children will be found within 2 hours at the meeting point. If not, Disney has an internal communication system and will issue an all-employee bulletin. Look in bathrooms or maybe a fave store. Have current pics & pertinent Disney phone numbers in your charged cell, if you need to show picture. Go to City Hall/Guest Relations/Child Care facility at the Walt Disney World theme park and have a tag made for your child that will attach to their belt loop. Kids love these tags as they have Mickey or Minnie printed on them. Keep track of small children when entering and leaving attractions: Some large volume Disney theme park attractions can let hundreds of people into or out of a theater at one time, making it easy to lose track of your little ones. Carry your child in huge crowds, or hold on tight when exiting busy, show style attractions. Note the location of exits for bathrooms and rides: Some restrooms and Disney theme park rides have multiple exits, and your kids could come out in an entirely different location than you expect. Choose a meeting place: Take a second to choose a meeting place in each Disney theme park, and make sure every member of your family knows where to go if they are lost. This is particularly important for kids who are old enough to wander off, but don’t have a cell phone. Tell your kids how to find help: If your child is lost, he or she should stay put for a few minutes, to give you time to find them. Staying near the last ride or attraction you visited makes it easy for you to spot them. Make a note of what every child in your party is wearing; or take a picture with a digital camera each morning. When entering the park, introduce your child to a Cast Member .Tell your child to go to the nearest Cast Member if he or she becomes separated. Cast members can easily be found at every snack place, shop, restaurant, kiosk, attraction line-up, etc. Likewise, parents should immediately inform a Cast Member if a child is missing. Both parties have a charged cellphone or walkie talkies. If kids are old enough, choose a “go to place” a landmark, or maybe a special favorite spot, where you will meet up if separated. Actually go together to the place! Don’t just say “Cinderella’s Castle”: the circumference around the castle is a very large area. Do that at each park. If your child goes to the restroom by him/herself, pay attention to all restroom doors, because some have multiple entrance/exits. Don’t get distracted during parades and fireworks, keep small children in strollers during these spectacles, or hold hands. Also be especially vigilant when you’re part of crowds entering or exiting one of the live shows in the Disney theme parks. Fantasmic is especially dangerous, not well lit & horrible entry & exit. Use the buddy system, stay with a sibling or friend, don’t separate. Don’t talk to strangers and tell them you’re alone or without adult. Periodic check in calls and give description where the teenager is currently. Meet up every few hours to make sure safe. Have a secret password that only you and kids know, in case some weirdo says “Your mom said to come with me” and have the person tell you or NO DICE! That’s what I did to my kids when they were little, scared them to death about strangers for safety sake—a real funny messed up password is great! Many people use the WDW package luggage tags on their kids’ belt loops and there is a site that makes silicone bracelets with the info you want, for kids to wear. Make tags at the pet store or army supply store- the little engraved ones with the parent’s cellphone number on them, tie them on their shoestrings or on a necklace. Sticker with parent’s phone number on kid’s shirt.